There you are! Here I am! 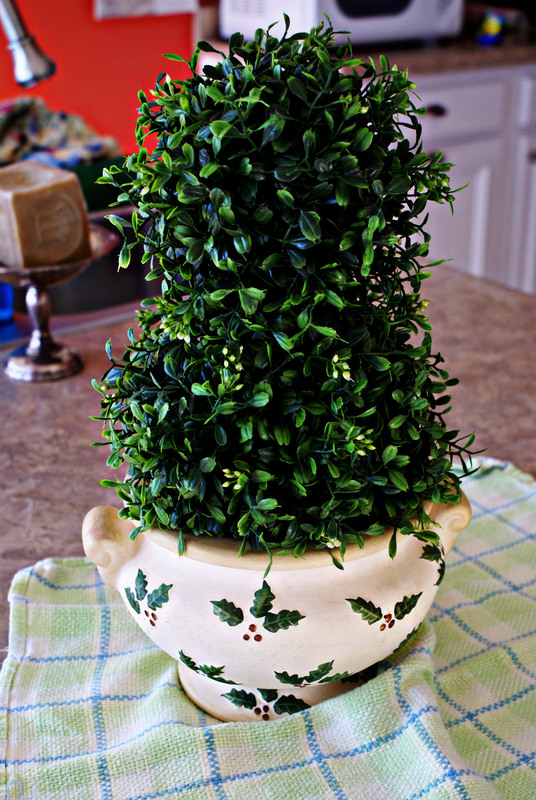 As promised, today I’m gonna show you a little sneak peek Christmas idea…made with junk. If you are new to Along the Dirt Road let me explain something. 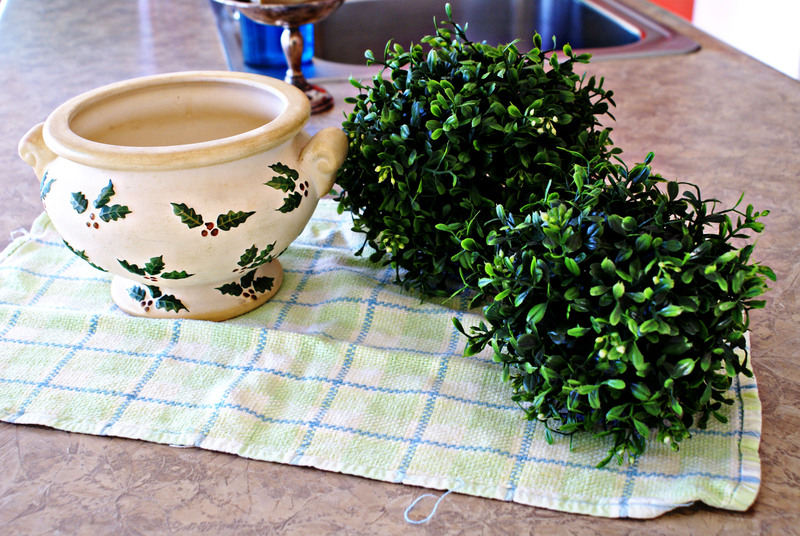 When I use the word junk I am really just referring to something that I picked up that was “gently used.” After all…none of us really think of our “junk store” finds as “junk.” Somehow, we have just lovingly dubbed it as such. So, today I’m gonna show you a little project that is soooo easy. 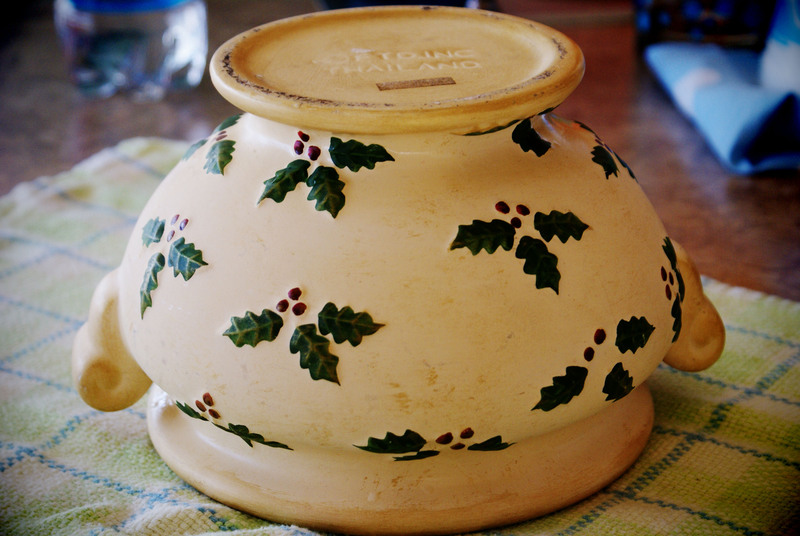 It all started with a Christmas-y little pot that I found at the …junk store… a.k.a thrift store. I will walk you through it in pictures. How bout that? I thought you would agree. btw: I forgot my badge when I edited my pictures today…in case you don’t notice. This is also a blog post about….nobody is perfect. 😉 I really love my turquoise badge though…so….I will do better next time. There…a little grace. That’s what I’m talkin’ about! Start with a great little find from the junk store. So simple. 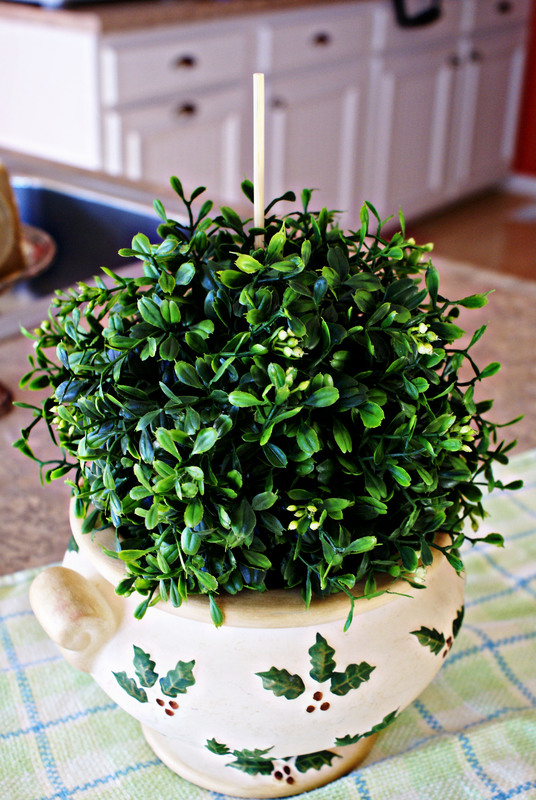 Just lay the big topiary ball in the bottom and insert a bamboo skewer and then slide the smaller topiary ball on top. 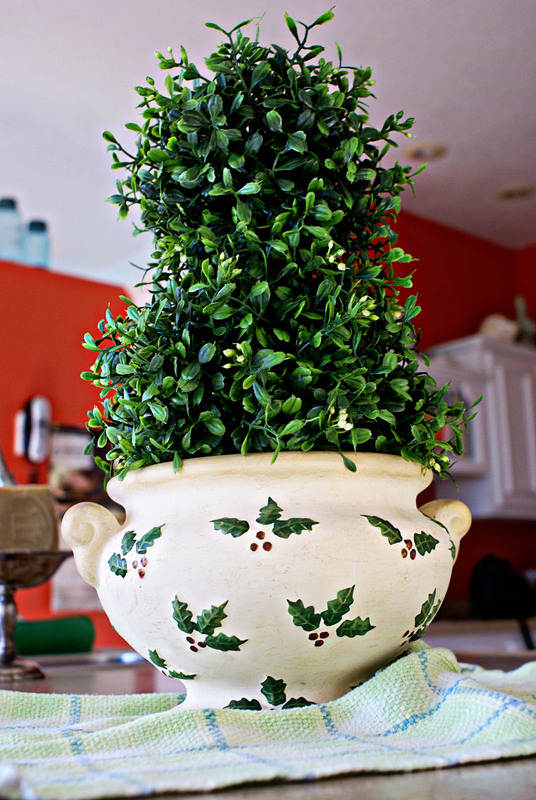 What a fine little topiary…in her “gently used” pot. 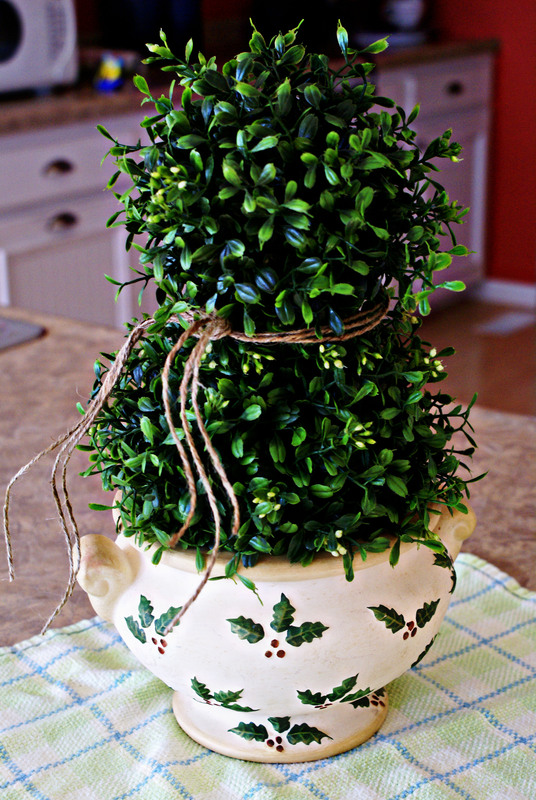 Add a tad of garden twine…..for a simply, elegant topiary. Have a wonderful day, Dirt Roaders. Get your Christmas decor “game plan” up and running…even if you are trying to be good and celebrate Thanksgiving first…like me. aahhh, I love this! I am awaiting that perfect pot for mine too! Thanks Maranda. I almost passed that one up. Now I’m glad that I didn’t. 🙂 I will keep my eyes open for you.